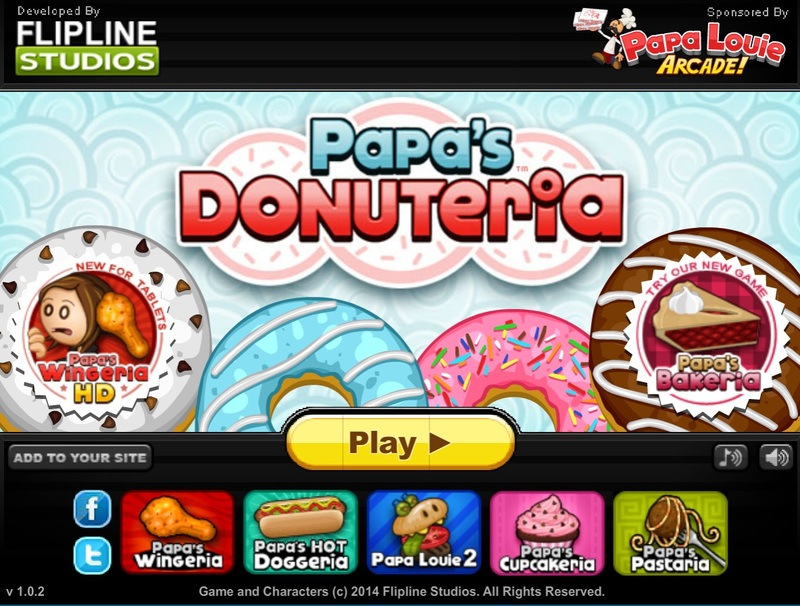 As the name of the game suggests, in Papa’s Donuteria, you will have to prepare donuts. 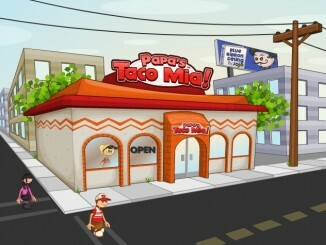 Like all cooking and serving games of this series, this game will also need you to work in different stations. The points earned for work done in each of these stations will decide your score. 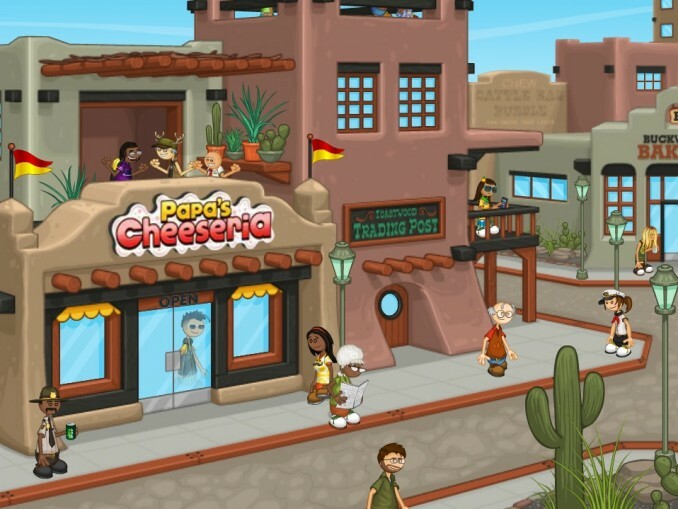 Read on to know more about the game and the stations you will have to work in. 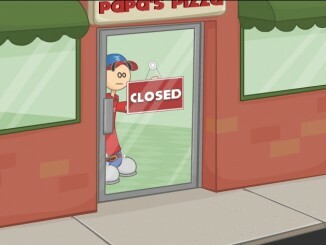 In Papa’s Donuteria, your character will be writing down orders placed by customers automatically. 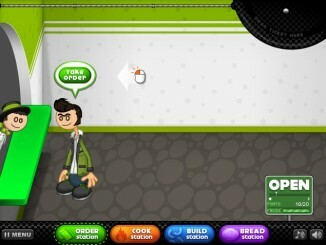 Right after receiving the order, you will have to enter the Dough Station. All your customers will specify the kind of dough they will love their donuts to be made from. Pick the dough in accordance to the order. 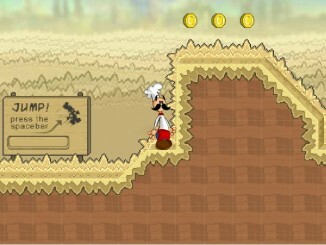 Drag the dough to the working slab and cut it according to your customers’ requests. For instance, while some might want the donut to have the traditional ring shape, there are many who prefer the round donuts (donuts without holes at the center) more. You will need different cutters to cut the dough in different shapes; for preparing the round ones, there’s the Round Cutter and for the ring-shaped donuts, there’s the Ring Cutter. When at the Fry Station, your job will be frying the donuts. Don’t forget to flip the donuts once their bottom halves are cooked perfectly. Drag the fried donuts to the tray and proceed to the next station. You will need to work in this station to add special flavors to your donuts. First, you will have to place the icing on these savories according to requests made by customers. There are a number of tempting icing options to choose from. The process of adding the icing is easy; for instance, if your customer has ordered a donut with chocolate icing, you will have to drag the fried donut to the chocolate icing vat. The next step would be adding Drizzles and Toppings to the donuts. Here also the customers are spoilt with options. The step is simple as far as you work according to your customer’ requests. For instance, if a customer has requested a strawberry drizzle, you will have to drag the bottle with strawberry syrup to the donut. Serve the donuts to your customers as soon as you complete your work at the Build Station and wait for them to give you points and tips.